Lorne Edward Feick passed away peacefully on May 9, 2018. Ed was born in Kitchener, Ontario on July 22, 1933, the fifth of 7 children. He and his family lived at Elora Ontario, Cottam Ontario, Luseland Saskatchewan and Saskatoon. In all of these places, his sense of humour and his quiet temperament won him many friends. Many have referred to him as a wonderful man. His was a life well lived and well loved. 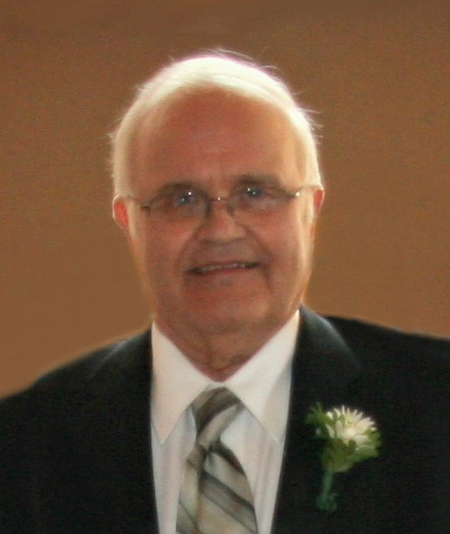 Left to mourn his passing are his son Dave, daughter in law Joanne and grandchildren Carissa and Eric Boschmann, Jason Feick and Scott Feick; Ed’s brother Jim (Liz), sister Grace (Ed) Snider; sisters in law: Eileen Habermehl, Alice Weber and Doris Ermel; many nieces and nephews. Ed was predeceased by his wife Beatrice, their children Larry and Barbara; his parents Herb and Vinetta (Schmitt) Feick; his siblings Ruth and Don Snider, Doris Feick, Morgan and June Feick, Aileen Feick, sister in law, Onalee Feick; Beatrice’s parents, Albert and Martha (Bauman) Habermehl, and her siblings, Vera and Eli Bauman, Ada and Norman Buehler, Alice Buehler, Edna Habermehl, Clayton and Olga Habermehl, Erma and Elvin Drudge, Ida Habermehl, Leonard Habermehl, Ralph Weber, Bill Ermel. A Memorial service will be held at Luther Special Care Home chapel on Saturday, May 12, 2018 at 10:30 am. A service will also be planned for the summer in Ontario at the Bethel Mennonite Church at Elora with inurnment at the church cemetery. The family wishes to thank the RUH staff for their care over the final two weeks of Ed’s life as well as the staff at Luther Care Sunset Home for their care over the past three months. Thank you, too, to the many friends and acquaintances at Luther Tower who, over the past 8 years have been good friends to Ed. He often spoke of you fondly. Arrangements have been entrusted to Funk’s Funeral Home, Rosthern, SK. (306-232-5245, www.funksfuneralhome.ca). Dear Dave and family. We are saddened by your loss. Wish we had been closer to see more of Edward’s life, but heard so many good things. Of course there were the large family reunions from many years ago where we crossed paths and enjoyed each other’s company. God’s grace to you all. And peace and joy in God’s good promises. Calvin and Heather Weber from Vancouver, BC.